When Amazon bought Twitch in 2014, there were many throughout the gaming community who thought it could spell the end of the fun-loving streaming website. But, despite those fears, little actually changed. That was until today, when Amazon and Twitch announced a new service called Twitch Prime that might feel oddly familiar to Amazon Prime subscribers. The program was announced by Emmett Shear, CEO and Co-founder of Twitch, at TwitchCon 2016's keynote held in San Diego, California. 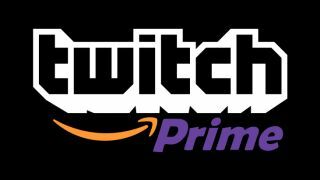 According to Shear, Twitch Prime is available for free to Amazon Prime subscribers will offer free games, free in-game content, one free channel subscription, exclusive discounts, release-day delivery on any game bought on Amazon and ad-free streaming through Twitch. "We are now happy to bring you what we believe is the best deal for gamers," Shear said. The first game to be included in Twitch Prime is Streamline, a fast-paced multiplayer game built for broadcasters to play with their viewers, while Hearthstone players will get access to a new hero, Tyrande Whisperwind. Shear says that new games and in-game bonuses will be rotated in periodically, meaning that the program will share some commonalities with Sony's PlayStation Plus and Microsoft's Xbox Live Gold. To activate your Twitch Prime subscription as an existing Amazon Prime subscriber, all you need to do is link the two services together on twitchprime.com. Twitch Prime will be available starting today, and Twitch is offering a free 30-day trial of the service.